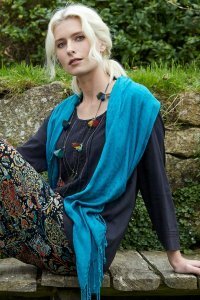 Nomads Clothing produces women's fair trade and organic cotton clothing with fantastic fantasies inspired on traditional Indian. It is with some villages of India that Nomads collaborates obviously not involving children and ensuring decent wages and conditions but especially valuing their culture and textile tradition. The garments are designed for women who like a comfortable style and but still feminine and romantic. 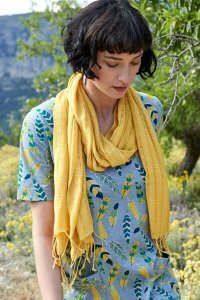 The return of Nomads Swing Tunic in this gorgeous winter bloom print. Available in coal it is our most flattering tunic. Longer at the back with a front button placket, long sleeves and rounded neckline. 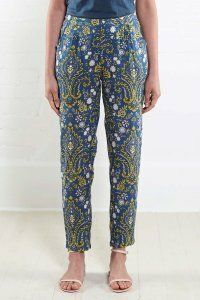 Wear with our narrow leg trousers. Cardigan in perfect colours for spring and summer season. Tighter rib detailing, pretty front buttons and soft organic cotton. Colour: ocean blue, mango orange or sunflower yellow. Our Floral Jersey Shirt will become an essential part of your casual wardrobe collection. Navy with a V neck, gathers at the front and smoke buttons, give this shirt extra detail to make it both super comfortable and flattering. Nomads Jacquard Knit Jumper in Granite Grey is the perfect winter wardrobe staple. Long and cosy sleeves with jacquard weave detail at the bottom its perfect for snuggling up on the sofa in. Nomads Jacquard Tunic Dress is essential on a cold day. Its Granite Grey base with colourful jacquard weave will add a touch of colour into your wardrobe. Gently flared and finishing just above the knee it looks tremendous with Organic coal leggings. A favourite plain longsleeve tunic shirt. Pintucks and button cuff roll back detailing. This is a shirt which will be useful all year round. Button cuffs and side pockets. Colours: ivory white, moss green, chambray or indigo. Nomads Long Layering Top returns in ochre. 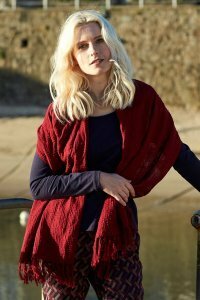 Hip length they gently skim the body making them excellent for layering under our tunic tops and dresses and generally keeping your bum warm! Our essential Longsleeve Plain Tops are available in our highlight colours of cranberry red, moss green and pewter grey. This year they are longer in length and just skim the body so they are excellent for layering under our tunic tops and dresses. Slim fit. Composition: 100% organic cotton jersey. Our Ruched Side Tops are the perfect base shirts for your winter wardrobe. 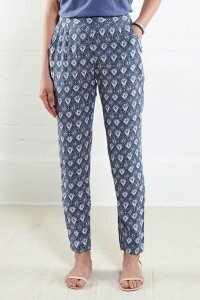 Layer under our printed dresses or tunics or pop on with our stretched trousers for a more casual look. Colours: magenta, blue navy or black (pewter). Organic jersey plain vest top with scoop neck and sleeveless. This vest will keep you cool all summer long. 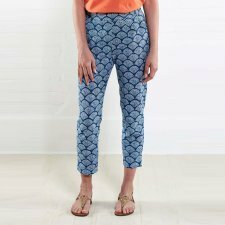 Wear with your trousers and skirts to reflect your summer style. Colour: ocean blue or mango orange.